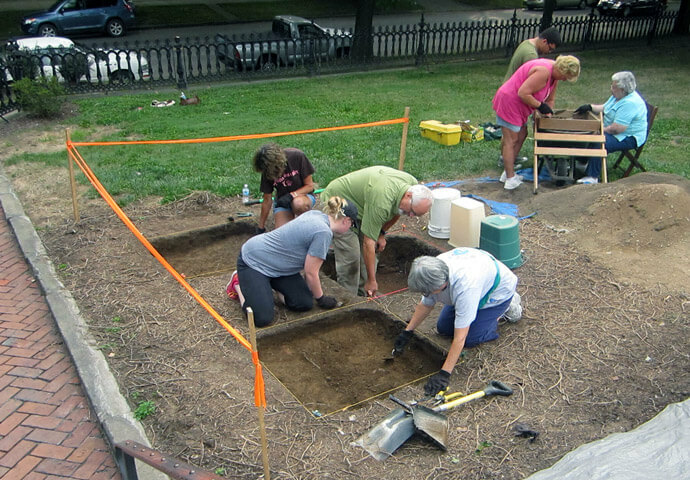 The Castle’s Archaeology Field School is geared for high school age students and adults. This week-long experience will begin with introductory discussions and hands-on activities regarding the goals and methods of modern archaeology. Field work activity will be at a moderate pace that can be geared to the preference of each participant. We will be excavating a real archaeological site, processing the recovered artifacts, and discussing what they tell us about past human activity. This is a great opportunity for adults and students to participate in an archaeology project lead by professional archaeologist Wes Clarke. Space is limited. Pre-Registration is required by July 19th.